The pop-up AR treasure hunt aims to unite fans around the world in the battle against the dark side in a unique three-day event at over 20,000 retail locations across 30 countries. 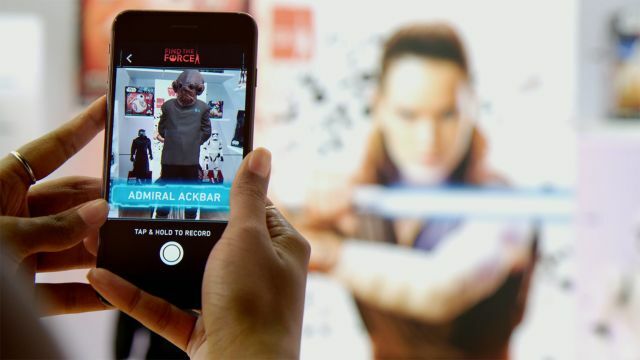 As fans turn up to take home new "The Last Jedi" products, they will have the opportunity to activate a unique augmented reality experience featuring "Star Wars" characters, including fan-favorites and new surprise additions from the film. Find out how you can augment reality right here.